Hilda Viola Ismay Trott, a long-time resident of Silver Spring, Maryland, USA, died peacefully on Monday the 4th of July, 2016 in her 87th year at Shady Grove Adventist Hospital in Rockville, Maryland. Ismay – who was born in Warwick, resided in Somerset, and was a long-time member of the Somerset Seventh-day Adventist Church – loved the Island of Bermuda. She was a beloved mother, sister, grandmother, great-grandmother, aunt, sister-in-law, teacher and friend. She is survived by her three children – Diana Ming [Melvin]; Derrick Darrell [Margaret]; and Freemagene Trott; her brothers – Wellington “Steve” Darrell, John Albert “Bussy” Darrell [Lucille] and John Henry Darrell; her eight grandchildren – Calvin Edward Ming [Cindy], Jerilynne Ming, Michael Darrell [Olivia], Kevin Darrell [Betsy], Shane Baisden, Janita Adderley [Shawn], Nicholas Darrell and Carolyn Darrell; her ten great grandchildren – Carina and Cameron Ming; Karissa, Amaya and Isla Darrell; Kimori and Nala Adderley; Scarlett Darrell, and Jacob and Nastassja Baisden as well as a host of cherished nieces, nephews, relatives and friends. 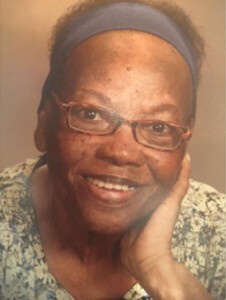 In lieu of flowers, donations may be made to the National Kidney Foundation as a memorial gift in the name of “Hilda Ismay Trott.” Funeral arrangements will be held in the USA.